Our exclusive formula of high-quality probiotic strains include B. infantis, L. fermentum, and L. reuteri to help women achieve the ideal balance of beneficial microbes. Our carefully selected strains provide powerful bacterial support for the entire body, and research has shown that probiotic supplementation can support IBS symptoms, while boosting urogenital health and the immune system’s ability to ward off harmful pathogens! 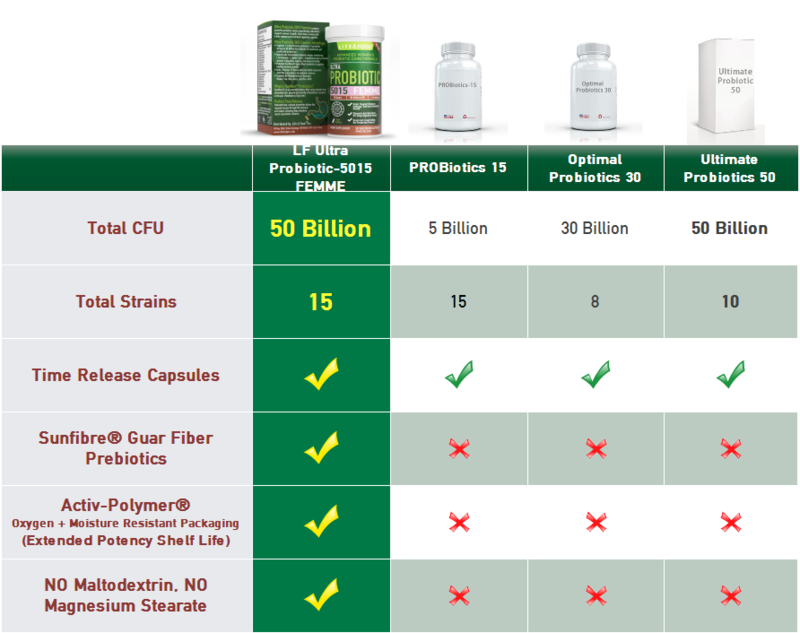 • Superior 15 strain digestive health formula with 50 Billion live cultures for maximum gut health and protection†. • Patented DRcaps® time release technology protects each capsule from stomach acids for improved absorption. 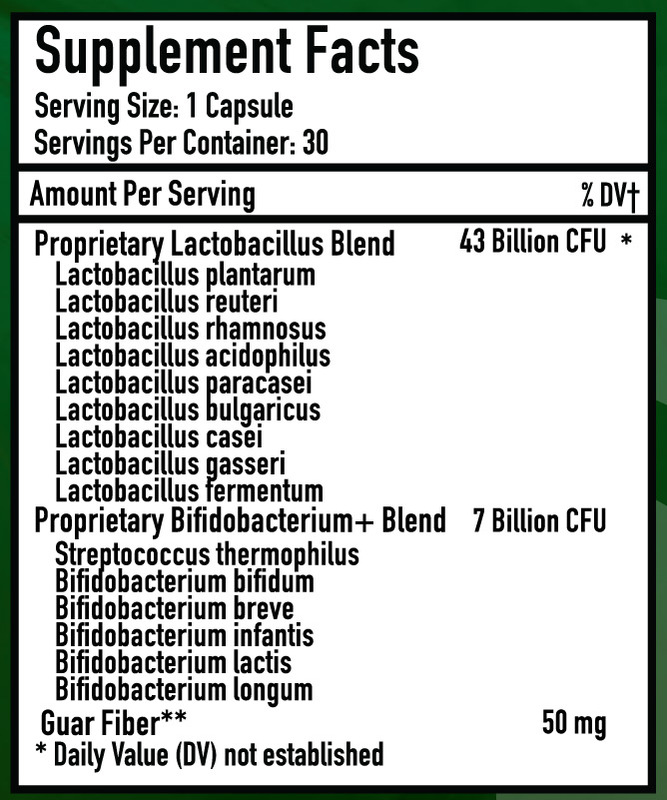 • Enhanced prebiotic combination of Sunfiber® (from Guar Fiber) supports good bacteria growth. • Activ-Polymer® packaging improves shelf life and potency of the probiotic live cultures until consumption. • Contains no Maltodextrin or Stearates. Gluten Free, Non-Dairy, and Non-GMO. As a dietary supplement, take one (1) capsule daily, preferably in the morning on an empty stomach or as directed by a healthcare professional. **Guar Fiber from Sunfiber® Prebiotics Gluten Free, Non-Dairy, and NON-GMO.